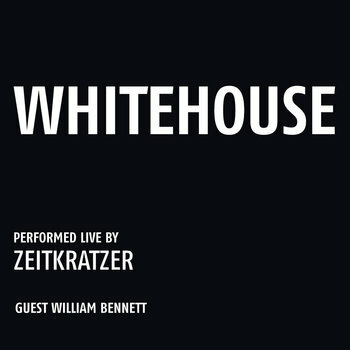 2nd collaboration between the critically acclaimed ensemble zeitkratzer and the great pioneer of noise / industrial William Bennett aka Whitehouse. Music with crystal clear, even neurosurgical precision – pure acoustic power! William Bennett, the musical mastermind behind WHITEHOUSE and CUT HANDS, has already worked with zeitkratzer at several occasions. 4 years after their first CD (Whitehouse, zeitkratzer records) the critically acclaimed ensemble and the highly influential noise pioneer release their second album. Recorded live at the festival Musique Action in Nancy / France, the new recording goes even further: while the deep bass frequencies – produced by the huge orchestra drum, at some points as well by the beaten bass strings of the piano or by subtones of the horns – made vibrate not only the floor of the venue while on the other hand high piping sounds, amplified violin harmonics, bitten clarinet tones attack the listener. A music with crystal clear or even neurosurgical precision. And one can hear voices all over – distorted from being spoken through a trombone, a French horn, phantom voices in the density of the sounds, etc. No electronic effects are used – it’s pure acoustic power! Excellent work. A total racket. La fureur et la chaleur! …hors norme!